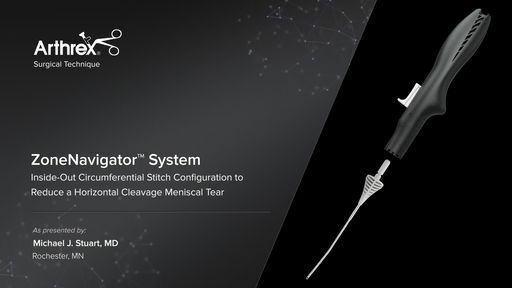 Michael J. Stuart, MD, (Rochester, MN) displays the various cannulas available for the ZoneNavigator™ system and performs a cadaveric inside-out lateral meniscus repair using 2-0 SutureTape and the ZoneNavigator system. 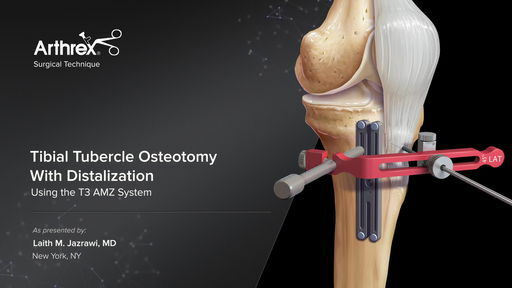 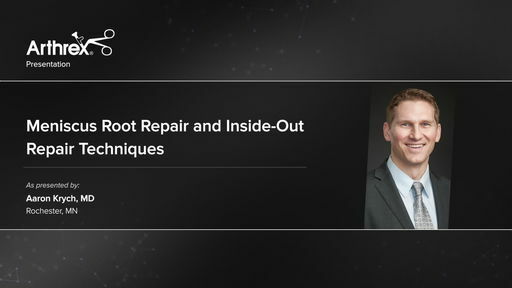 Aaron Krych, MD, (Rochester, MN) discusses the importance of re-establishing anatomical function of a damaged meniscus using the new ZoneNavigator™ system for inside-out meniscal repair. 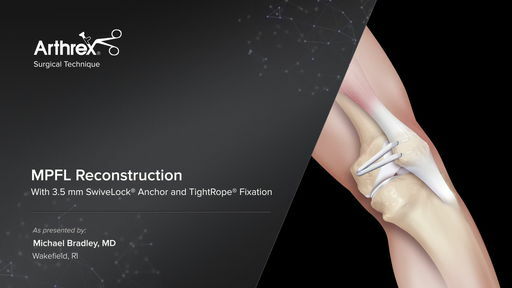 He also discusses using the Knee Scorpion™ suture passer for meniscal root repair and the meniscal root drill guide for transportal and transtibial root repair. 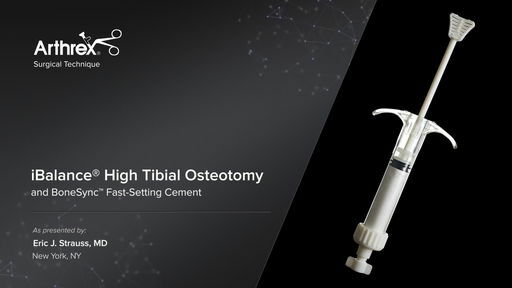 Laith M. Jazrawi, MD, (New York, NY) moves the tibial tubercle medially and distally on a patient with a shallow trochlea and patella alta using the T3 AMZ system.